Omaha South sophomore Terin Frodyma has already set seven of the school's eight individual records &amp; became the first Packer automatic qualfier in at least 25 years. OMAHA, Neb. (KMTV) — In one of the oldest pools in Nebraska, Terin Frodyma is giving new life to Omaha South swimming. Just a sophomore, Frodyma recently became the Packers' first automatic individual qualifier for state in at least 25 years. "It's going to be awesome," said Frodyma. "I'm really excited. I am a little bit nervous." "We had a good feeling that this was going to be a great start for South High again," said head coach Todd LeMense. The 16-year-old is shattering school records left and right. Frodyma already owns seven of the eight individual records at Omaha South. One of the most recent marks the dual-language student eclipsed was the 100 yard breaststroke that had been held for 65 years by former multi-time state champ Ron Mlnarik. And right before Terin broke the record two weeks ago, he received a call from the now 83 year old. "I thought this was kind of a goal of mine," Terin said. "This is kind of my signature event & I was very excited." 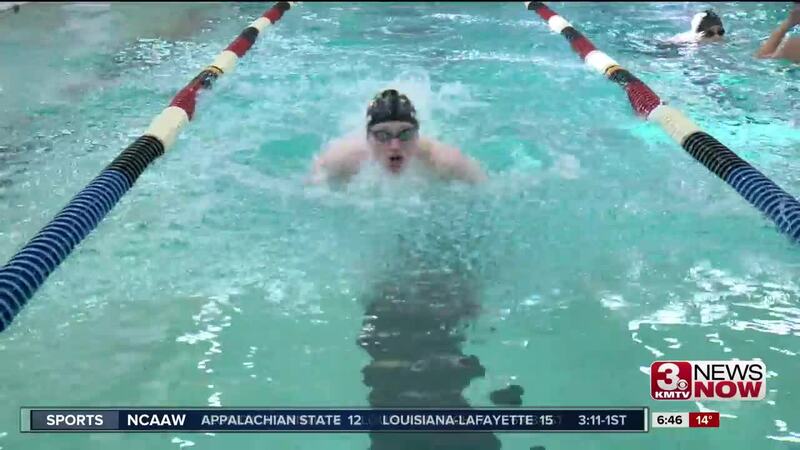 But no matter how many records he breaks or how many times he qualifies for state, Frodyma is focused on making South High splash on to the Omaha swimming scene once again. "That would mean the world," said Frodyma. "I grew up and never really heard about South and their swimming program. We have a four lane pool. We're kind of retro. So putting them back on the map, that's just an honor to have my name on that list somewhere." "Years ago when we had six or seven kids on the team, to now we're having 24, 25, 26 kids," said LeMense. "Other kids see him in the water and success breeds success."